I’ve finally done the construction work on the bag I’m making using the Napramach Bag pattern from Folk Bags: 30 Knitting Patterns & Tales From Around the World by Vicki Square. It still needs a lining, but since it’s not part of the official pattern, I’m declaring it done! My version of the Napramach Bag. Done! 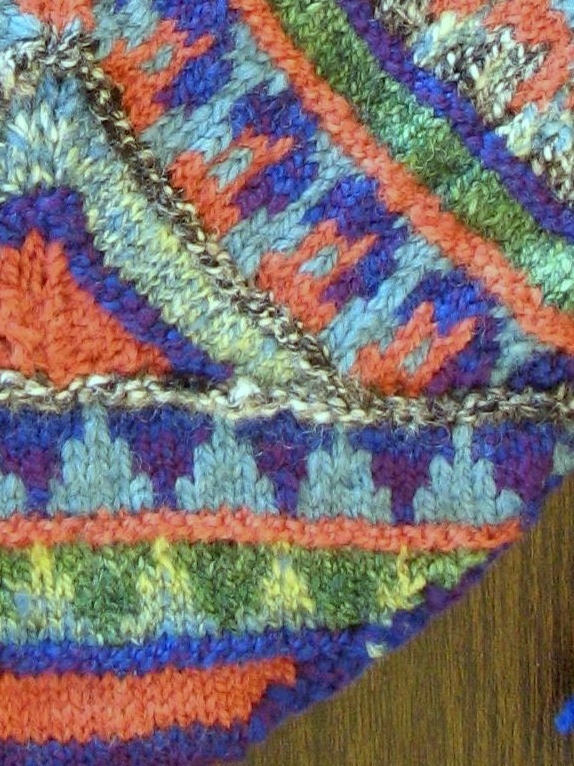 Using my handspun yarn for this project really helped give this ethnic pattern a handmade look. Since I underestimated how much yarn it would take, I had to spin some more before I could finish. Because I am still a beginner, the extra yarn I spun was only sort of like the yarn I was using, but it was close enough to do the job. 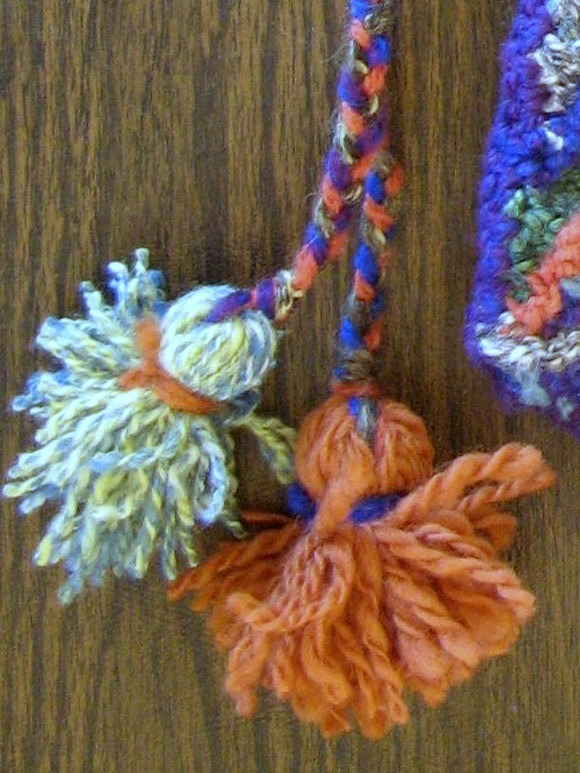 My lumpy handspun yarn made for lumpy knitting. But I like it! 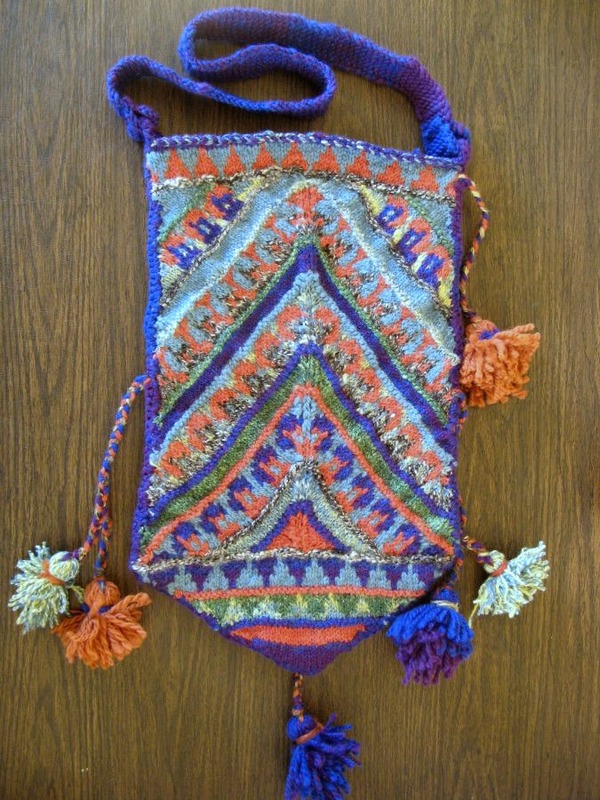 Making the tassels for this was more enjoyable than I expected, and knitting the strap was fun because it went so fast. To my way of thinking, the whole project was a great success. The tassels proved to be fun and easy add-ons. Now all I have to do is get a lining in it so I can store my hand spindles in it! In case you missed it, I first posted about this bag here and I included an update here. Love this…and I don’t see any lumps! Thanks, Kathy! They were very apparent as I knit because the gauge kept changing. My strap is wider in some places than others, for example. But I like how it turned out.